If you wished to be added top or removed from the Punny Monday mailing list, please let me know! Yahtzee! No that’s not my answer but I’m first at not knowing what the heck that is. 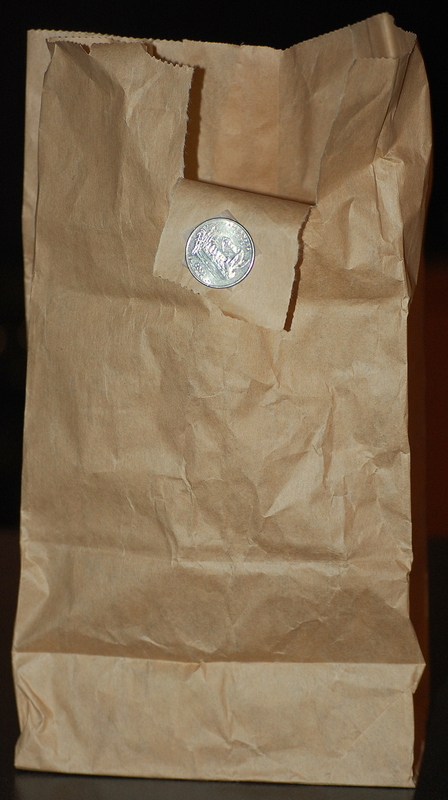 Nessa — it is a sack and a quarter. I am not a football aficionado so I never in a million years would have gone there although I have heard the term before. Sent in a few guesses but am pretty sure none are right yet. Still thinking! So far I’ve got nothing. But for what it’s worth, you do have my singing “King of the Road” this morning! Karen — hmm, why King of the Road? That’s only a quarter, not 50 cents! Doug — you understood her? Now I’m scared. This one was challenging. I’m not sure if my answer is anywhere close. Thanks for posting the schedule. The days are all Sunday dates, though. ?? Argh! I gave you MY schedule (prepare post by …) I’ll fix it. And your answer couldn’t have gotten any closer. You listed all three phrases we determined could make the winners circle. I made it here and it has been a long time. I do not have the answer for the picture yet. You need to have someone help with the fair booth. I have been the helper to a lady that does crafts, it gives you potty breaks, and time to rest and see the fair. Betty — I had lots of people offer to help, but no one actually showed up to help. Alas. I’m clueless in Maryland… Good luck to SOMEbody! Melli — maybe you should have run it past Dennis or your boys. Welllllll… I dunno! I’M the football fan in the family! Well… my boys ARE starting to get into it… one is die-hard Redskins (yea boy!) — the other is die-hard Ravens! (ya just can’t raise some kids right!) LOL! But from that picture, all I could think of was MILK MONEY!!! hahahahahahaha! Hmmm… Up late. Tired. Brain not clicking in. Must sip coffee and think. Raven — turn on Monday night football, it may help …. I haven’t got a clue, Like Usual. Bill — thanks for playing anyway. You’re a good sport. Teresa =– all you needed to know was that it is a quarter and a sack. The rest should have been easy. You’re receiving this error because the page you are looking for no longer exists on this website. Thom — thanks. I’ll remove the Twitter badge. It went to a twitter page that Twitter must have done away with. in spite of being a banker, how am i supposed to know foreign change? and foreign sports?? pffft! Polona — please note that even the natives didn’t get this one. And it never occurred to me that the coin wouldn’t be universally known. I am familiar only with American, Canadian and Mexican coins and they have comparable denominations. Sorry. I wasn’t around to guess, but had I been, I would have been stumped. I am not “football” familiar. Fun to see the game guessers, as always! Aaah — I was thinking “bag” rather than “sack” — I don’t know why — it IS a sack — but I don’t think I would have come up with that anyway, even though I know the term. Congrats to Linda! Love Doug’s guess. And thanks for posting the schedule in your sidebar. You really are going out of your way to accommodate your fans. 🙂 I appreciate it. I have sack and quarter both okay but like my GPS I can’t find the back. want to be confined to conformity. Don’t ever put money on me because I’m so bad at knowing what you’re thinking of. I would never have guessed. Very clever shot Miss Quilly. I didn’t have a clue on this one. Very clever as always.